These are all the activities at the PETPET Joyland that day. Dahlia Shazwan together with her hus band and daughter taking a family photo at the PETPET Joyland. 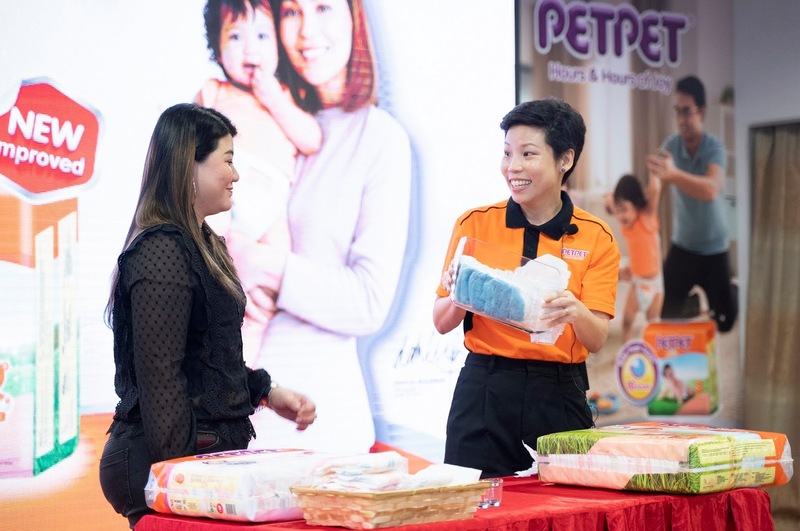 Patt Sue Ann (Right) conducting a demonstration on the absorbing power and durability of PETPET's new diaper range to a guest. "We understand that family time is extremely important in this day and age where everything moves at lightning speed. With this new range of diapers, lets collect the memorable moments together!" says Yeoh Aik Cheong (Managing Director of PETPET Malaysia). 2- Superior 'Fast Dry' technology + 360degrees AirThru system allows more comfort and a quick drying mechanism keep babies comfortable and happy for up to 10-hours* a day. 3- Significantly softer diapers for New Born and size S diapers. The PETPET Joyland was last month. If you did not get to visit, its okay. Check out their Facebook page for the latest info ! 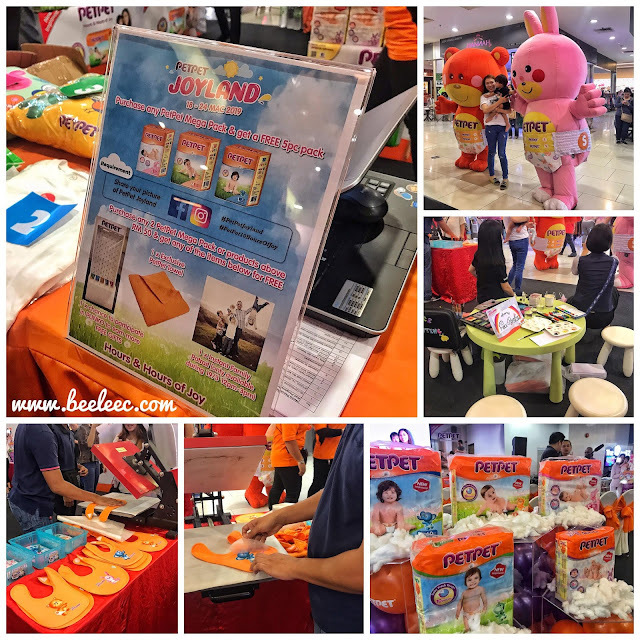 Patt Sue Ann (First Left; Commercial Director of DSG Malaysia), Dahlia Shazwan (Third Right) and Yeoh Aik Cheonng (Managing Director of DSG Malaysia), together with mothers and baby models, presenting PETPET's new range of baby diapers.